Rebirth Wellness offers holistic health services for the whole family. Classes include fitness, prenatal yoga, stroller bootcamp, and workshops. Book your appointment or class online, or call 226-663-3243.
at rebirth wellness centre, we whole-heartedly believe when a baby is born, so too is a mother. it is her rebirth. 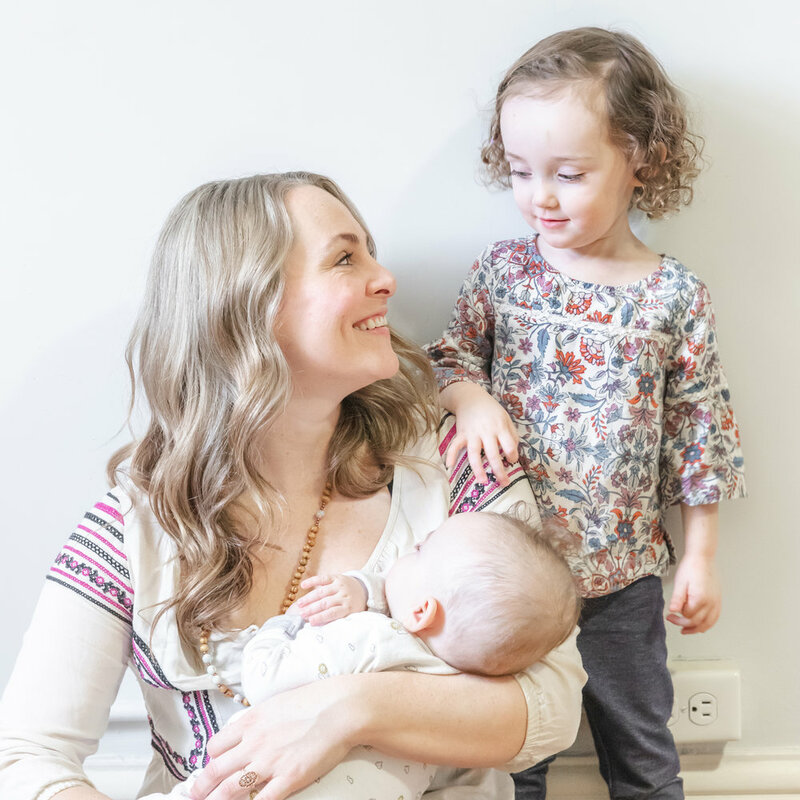 rebirth is a one-of-a-kind collection of experienced health + wellness professionals deeply committed to helping mothers navigate the joys + challenges of motherhood with confidence, trust, and unwavering self-love. since opening our doors in 2010, rebirth has been a gathering space for thousands of families. we 'get it.' we understand the good days, the not-so-good days, the perfect days, the overwhelming days…and the everything in between days. fertility, pregnancy, birth and life with littles can be a wild ride. at rebirth, we're here to support moms and families through it all. Voted Our London Reader's Choice Award for Best Health + Wellness, we offer an amazing collection of services conveniently located under one beautiful roof. As soon as you walk through our pink doors, you will immediately feel at home. You’ll be welcomed with a warm cup of tea and a ton of love. We can’t wait to see you. we love being london's 'go to' place for prenatal yoga & fitness. at rebirth, our prenatal yoga and fitness is more than just a class. it’s where moms-to-be connect, share, build their confidence and their community of long-lasting friends. we offer 4 classes per week, taught by experienced teachers. the first class is always free. join us. we can’t wait to see your beautiful face and growing bump. Our incredible team of sought after pelvic floor physiotherapists are committed to helping women with a range of pelvic health conditions. A trained pelvic floor physiotherapist can work with you to prepare the pelvic floor for birth and also rehabilitate these muscles postpartum. You have probably heard the buzz about pelvic floor physio, click below to learn more. preparing for birth can bring much excitement, fear, and every emotion in between. join us for a unique, small group childbirth education class that offers evidenced-based info, practical tools, and confidence-boosting conversation. Our incredible educators create a comfortable place to get your questions answered and help build trust in your strength, courage, and inner knowing. Private in-home classes also available. our highly skilled + experienced Registered Massage Therapists use techniques that are safe and effective for pregnant and new moms. one of our most popular services, by far! babies are welcome in the treatment room, making self-care for moms that much easier. daytime, evening and Saturday appointments available. it’s been a long winter. shake off those winter blah’s with a great workout with other moms. It’s our 8th season of our popular stroller bootcamp program. We’ve had the privilege of helping thousands of new moms enjoy a good sweat while having fun. Building strength, confidence, and community is what we're all about. Two parks and lots of classes to choose from. Register early. These classes are in demand. Download the free Mindbody App to book appointments and sign-up for classes and workshops. Easy, fast booking right at your finger tips! Try it today. Click the button below.